The advantages of the HP LaserJet 1022nw wireless laser printer will revolutionize the way you complete printing projects in any office environment. The advantages of the HP LaserJet 1022nw printer will revolutionize printing in any office environment. The HP LaserJet 1022nw printer offers a space-saving desktop laser printer with great features, specifically designed for small businesses and home offices. Its excellent 1200 x 1200 dpi resolution will give you the crisp, clean print quality your business needs. The LaserJet 1022nw can achieve print speeds of up to 19 pages per minute and can amazingly deliver a first page in less than 8 seconds, thanks to Instant-on Technology. 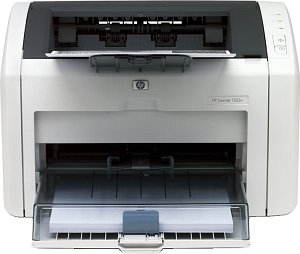 Increase efficiency and sales, save space and money with the HP LaserJet 1022nw. 3" x 5" to 8.5" x 14"